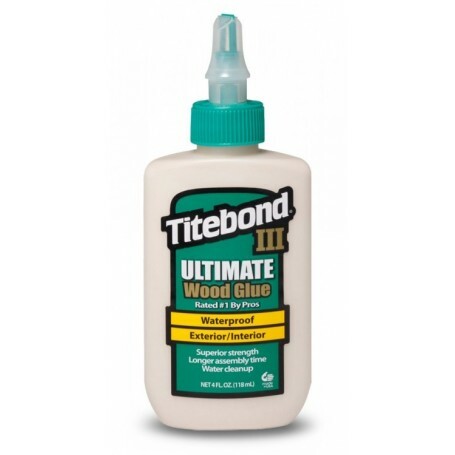 Titebond III Trälim WP 118ml. Not for continuous submersion or for use below the waterline. Not for structural or load bearing applications. Use when temperature, glue and materials are above 8°C. Store product below 23°C. Storage above this temperature may cause product to thicken and reduce the usable shelf life. If thickened, shake vigorously by firmly tapping bottle on a hard surface until product is restored to original form. Because of variances in the surfaces of treated lumber, it is a good idea to test for adhesion. KEEP FROM FREEZING. KEEP OUT OF THE REACH OF CHILDREN.